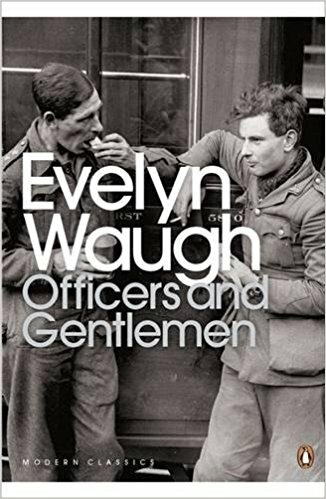 Officers and Gentlemen (1955) is the second volume of Evelyn Waugh’s Second World War trilogy Sword of Honour. It follows Men at Arms (1952) and precedes the concluding volume, Unconditional Surrender (1961). The novels can be read separately, but their significance is far greater when considered as a whole. For a detailed examination of the parallels and constructive differences, see the excellent introduction and explanatory notes to the Penguin edition of Sword of Honour edited by Angus Calder. Waugh captures magnificently the chaos of war – the orders issued in ignorance, then immediately countermanded, the administrative departments at emnity with each other, and the assessments of ‘progress’ which are based on completely bogus information. They had no transport, they had no cooks, they had far too many officers and sergeants, they wore a variety of uniforms and followed a multitude of conflicting regimental customs, they bore strange arms, daggers and toggle-ropes and tommy-guns. More importantly Waugh exposes the reflection of the English class system into the armed forces. There is absurd concern with rank and petty deference to rules and regulations. There is suspicion and hostility between various parts of the military, the air force, and the navy. Officers educated on the playing fields of Eton behave as if they are dealing with teams from a rival college. The ruling elite are concerned with who salutes whom; they conduct their social life with servants and batmen as if they were in gentlemen’s West End clubs; and they are largely ignorant of the organisational and technical details of the war they are fighting – and they are supposed to be leading. The novel also emphasises the ironic contrast between appearance and reality. The officers are tasked to uphold honour, duty, and courage in the face of adversity. Instead they are shown evading responsibility and going to pieces. Colonel Campbell is obssessed with explosives and finishes by blowing himself up. Major Fido Hound steals his own troops rations, loses his way and becomes delirious. Guy regards Ivor Claire as the embodiment of English chivalry – but Claire abandons his men and deserts his post when threatened by the German advance. He is posted to India to avoid possible Court Martial. And Guy is sent a long way back home so that he will not compromise this diplomatic move. 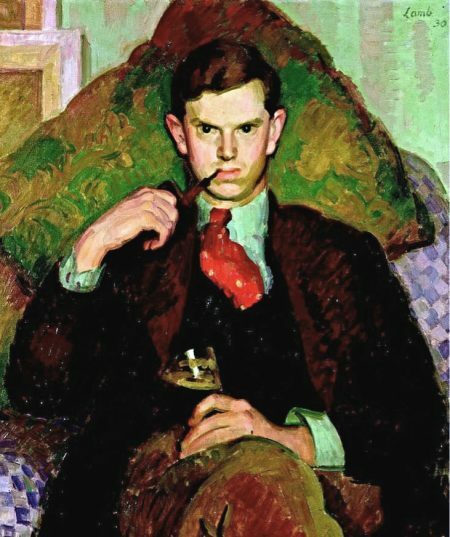 This is where Evelyn Waugh shows his main strengths. Although he is a conservative, with a sceptical view of progress, democracy, and egalitarianism, he exposes the weaknesses of the ruling class which he sees as failing and hopelessly ill-equipped to face the twentieth-century world. Waugh has a habit of making leaps in his narrative which leave certain important details unexplained. This may be the result of the trilogy being conceived as a whole, but written and published as a succession of separate novels. We do not discover until this, the second novel in the trilogy, that Trimmer (a major character in the first volume) was once a hairdresser using the name ‘Gustave’. He worked on board the cross-Atlantic liner Aquitainia where one of his regular customers was Virginia (formerly Guy’s wife) travelling to meet her third husband Mr Troy. Similarly, it is not at all clear from Officers and Gentlemen what happened to Major Hound in Crete and the survival boat skipper on their escape to Alexandria. These events are related mainly from Guy’s point of view, and we are given the impression that he became delirious and was then traumatised until his revival in the hospital at Alexandria. But in the third volume of the trilogy, Unconditional Surrender, we are given the impression that Ludovic is terrified that Guy will reveal the truth about these disappearances when they meet at a party in Chelsea. The clear implication is that Ludovic has murdered Hound and thrown overboard the skipper of the boat on which they escaped. It is somewhat ironic that the character of Ludovic was reputedly based on the real-life figure of the Ukranian-born Ludvick Hoch who fought with the British army during the war. He later took out British nationality and changed his name to Robert Maxwell before becoming a member of parliament and the head of a gigantic publishing empire. He was later revealed as a crook and an embezzler owing millions of pounds, who died in ‘mysterious circumstances’ by falling off his private yatch. An example, perhaps of Oscar Wilde’s dictum of ‘life imitating art’? One of the other oddities of Waugh’s methods as a novelist is that he introduces standout characters who make serious appearances in the plot – only to be discarded or forgotten. The laird of Mugg and his crazed Nazi-supporting niece deliver memorable performances in the early part of the novel. Their macabre dinner at the Gothic and inhospitable castle is a comic masterpiece. Yet they never reappear and are written off later in a single sentence. The great explosion which killed Mugg and his niece was attributed to enemy action. It is quite clear that Ludovic has murky intentions: he has an arrogant attitude to his superiors; he keeps a secret diary; and he has a lofty and detached manner concerning the events in which he participates. Waugh suggests that ‘it is supposed’ that Ludovic threw overboard the sapper who was in control of the escape boat from Crete, but no reason is provided for such an action. In the third volume it is revealed that he is a Communist, and more surprisingly he writes a (bad) best-selling novel. Waugh creates a convincing account of someone sliding into psychological collapse when Colonel Fido Hound becomes disoriented and lost in the retreat from Crete, but we do not really know what happens to him in the end. Waugh’s own notes to the novel claim that Ludovic might have killed Hound – but we are given no reason why this should be the case – except that Ludovic has earlier hinted menacingly that some officers were being shot by members of their own lower ranks. Yet Ludovic has earlier saved Colonel Hound when he was lost. In 1940 Guy Crouchback returns from his posting in Africa to London and shelters from the Blitz in Bellamy’s Club. He reports next day for duty, but nobody expects him. His father old Mr Crouchback’s tenure at the seaside hotel is under threat because of petty regulations. Colonel Jumbo Trotter delivers Guy’s new orders and commandeers transport for the belongings of Apthorpe, who has died in Africa. Guy is posted to Scotland on ‘secret operations’ with X Commando. On the Isle of Mugg Guy meets Trimmer McTavish and hands over Apthorpe’s gear. Guy goes with Tommy Blackhouse to a comically absurd dinner with the Laird of Mugg, who is obsessed with explosives and is rabidly Scottish. His niece is a mad supporter of Hitler against the British. Trimmer goes to Glasgow on leave and picks up Virginia, Guy’s former wife. The laird shows Guy more of his explosives, and a ‘nutitionist’ doctor takes men on survivalist training expeditions. When the transport ship arrives for the unit’s mission there is great secrecy and confusion about their destination and objectives. Operation Hookforce sails to Cape Town, whilst Ritchie-Hook disappears on a flight to join them. The operation travels on to Egypt without a commander, whilst moves are afoot in London to remove Hookforce as an irregular unit that is causing embarrassment. Guy lunches with the diplomat Stritch and his wife Julia in Alexandria. In London, Trimmer is put in charge of Operation Popgun along with Ian Kilbannock as observer. He meets Virginia again, who is a friend of Ian’s wife. The Operation sails by submarine for an island in the Channel, but surfaces at the wrong destination on the German-occupied French coast. There is a botched attempt at demolition, but their sortie is reported a huge success. Trimmer is feted as a patriotic hero. Guy and X Commando are despatched to assist at the evacuation of Crete, which is a grim shambles. Troops are in disarray and retreat; they are harrassed by the German Luftwaffe; and there is a complete lack of overall command. Guy and Major Hound try to establish contact with someone in authority on the island. They are engulfed by soldiers in retreat. Hound becomes slightly delirious, gets lost, and is robbed by a Cretan partisan. He is rescued by Ludovic. Guy tries to join the retreating forces, but Hookforce has been ordered to remain covering the evacuation. In London, Ian Kilbannock has problems trying to promote Trimmer, who has become obsessed with Virginia. On Crete, after a partial retreat, the remaining forces are ordered to surrender. But Guy and Ludovic manage to escape on a boat, hoping to be rescued. Recovering in hospital, Guy is suffering from what today would be considered post-traumatic stress, until Julia Stritch arrives and takes him to recover in her house. She recounts Ivor Claire’s desertion of his troops in Crete and his ‘escape’ posting to India. Guy wishes to remain on active service, but is recalled to London.